Dazzle are Bristol based Window Cleaners. We are skilled local professionals that pride ourselves on being efficient, reliable and providing an excellent service. 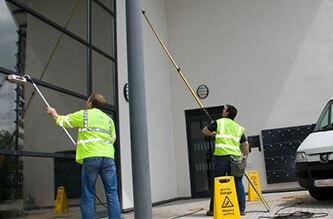 Commercial Cleaning We offer commercial window cleaning in Bristol. This includes a full comprehensive range of services, from cleaning windows, frames and sills, to signage and fascia, we’re committed to delivering added value to all our clients’ businesses. Gutter Cleaning We use a mixture of traditional cleaning and pole system to thoroughly cleanse even the most heavily compacted gutters and downpipes. 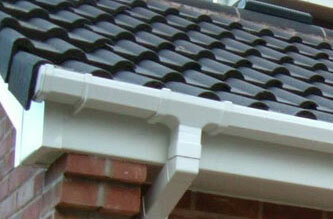 Don't let your gutters get blocked up and risk possible damage to your home, contact us today! Conservatory Cleaning Conservatories are a costly investment to your home, so why not let us keep it maintained and looking like new. 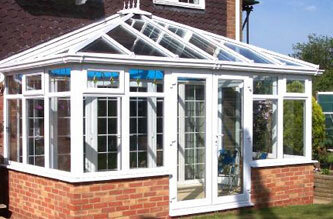 With a regular conservatory clean we can even restore it to its former glory if it has started to go grey or green. Dazzle Window Cleaning are a team of window cleaning specialists based in Westbury on Trym, Bristol. We use both traditional and pure 'Water Fed Pole' methods and offer our window cleaning services to both business and private clients all over Bristol. We have years of experience and many happy customers so you can be safe in the knowledge that we'll do an excellent job. We're known for our standards of quality and service offering a high standard of cleaning. Contact us today for a free quote and maybe you could join our list of satisfied customers.